Today’s delightful guest is Beth Barany — thank you so much for joining us! Sometimes readers wonder about my writing process. They wonder if I follow a regular routine, if I use pen and paper or computer, if I work at home or at the library/Starbucks, etc. I love these type of questions because I’m always curious about other people’s creative process, and I love sharing mine. I spent lots of years learning to be a writer, so I hope what I have to share will help other budding writers. My novel writing process has really evolved over the years. And I have to say that how I write and approach fiction is different than how I approach and write nonfiction. With nonfiction, I can pretty easier jump into a first draft. With fiction, I do a lot of little and short writings before I get to the actual first draft. Currently, my process of fiction writing looks like this: first I get an idea and quickly write it down, usually when I’m on a bus, a train, overseas, at a cafe — you get the picture. I don’t often write first sparks at home, though it has happened. Then if the idea won’t leave me alone, I continue to write notes as they occur to me. If the story still won’t leave me alone, and I need to be working on something new, then it’s time to write the overview of the story — these days in the form of a synopsis or summary of the story. Lately, I do these preliminary notes on the computer, though I’ve written them in my journal in the past. At this point, I’ll outline more, expand the story summary, or sometimes just start writing. By this time, I know I really like this story and I’ll make a formal commitment to it and give myself a deadline and daily word count goals. Currently, for a paranormal romance novel I’m writing, my current goal is 350 words a day 4 days a week because I’m also doing final edits on my next YA fantasy novel, the second in the Five Kingdoms series, coming out soon. These days I write my first drafts into Scrivener, a recent addition to my life, at neighborhood cafes on my trusty MacBook Pro. Just to spice it up, and because I’m short on time, I’ve been dictating a novel, the third in my YA fantasy The Five Kingdoms series. Lastly, I’ve used NaNoWriMo for the last few years to finish novels, using the frenzied collective time to get it done. I may use NaNoWriMo to complete the paranormal romance novel I’m writing. For my writing space, I like flexibility and also the feeling that I’m heading toward a goal. And now a word about book marketing, and what works for me and what hasn’t. What works: blog tours; requesting reviews from book bloggers; contests and giveaways. What doesn’t work: Blatant “buy my book” tweets and posts; do no promotion. What questions do you have for your favorite authors? Answer the question to enter in Beth Barany’s special giveaway! She will pick a winner from the commenters seven days after the post goes live. The winner will receive a copy of Henrietta The Dragon Slayer, Beth Barany’s award-winning YA epic fantasy. Henrietta strode away from the tavern, fists clenched so hard they hurt. At two paces from the forest edge, the ground crunched in the black night behind her. Even with her ale-fogged brain, she sensed the presence of a man, smelled on him soot, leather and metal, and knew he was armed, but wore no armor. “What do you want?” Henrietta whirled to face the thrill seeker, her long sword drawn, her long red hair whipping across her chilled cheeks. Above her head, the bitter wind keened through the forest trees. “The Song of the Dragon Slayer.” The man’s tone was flat. So he wasn’t a fan. She didn’t care. She cared that he didn’t move any closer. Empty hands at his sides, a sheathed long sword at his belt, he was broad shouldered and taller than her by half a head. “A song about you. That is why you must come with me now.” He stepped toward her, his face still hidden by darkness. “I am a knight, doing his duty. Assessing.” He didn’t move any closer. Like she needed to know that. Then she opened her big mouth. “If you’re a knight, where’s your armor?” As soon as she heard herself, she knew that was a dumb question. Award-winning author, Beth Barany has been making up fantasy and adventure stories all her life. She writes to empower girls and women with her strong heroines who have to save the world against great odds. 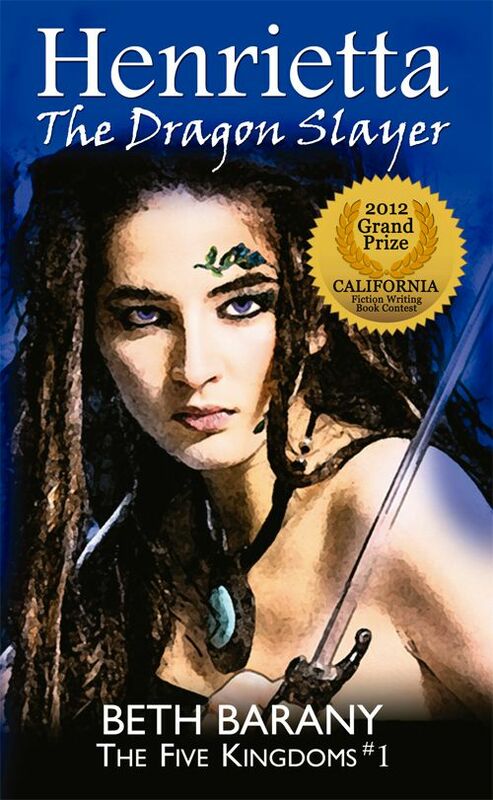 Her YA fantasy epic, Henrietta The Dragon Slayer, won the 2012 California Fiction Writing Book Contest. In her off hours, Beth enjoys walking, capoeira, reading and watching movies with her husband, bestselling author of The Torah Codes, Ezra Barany. I was taught in writing school never to begin a piece with a dictionary definition as it lacked originality and imagination. I’m violating this rule today for the sake of clarity. I think it’s important that we all understand up front what my topic is because I hope to take that topic and stand it on its metaphorical head. (You can let me know in your comments if I succeed or not. I know a dangerous request, because who wants to tell someone they’ve failed. I suggest you don’t. Just take the opportunity to express your viewpoint. I love a good discussion.) At any rate, I intend to discuss the concept of a writer’s muse. So, if the in-ability to produce written material isn’t the result of either a stingy or overly generous muse, what is it, and why blame it on the unsuspecting (and I’ll maintain non-existent) muse. The answer lies in what the muse represents. A muse isn’t a being; it’s a metaphor for inspiration (see definition b. above). However, a muse is much more interesting to talk about than an inspiration. Most people can’t wrap their minds around inspiration as more than an idea, but they can easily conceive of imaginary or non-corporeal beings. I, on the other hand (not being ‘most people’), prefer the concept of inspiration—that spark of genius that is internal to myself. (Yes, I’m a bit greedy. I want all the credit for my own ideas.) Perhaps it is this greed on my part that allows me to be inspired by just about anything. Stories, tales, yarns, fables—you name it—are everywhere. Writer’s block is real, but not because the well dried up or even because the donkey has too many haystacks to choose from [Kudos to anyone who can tell me the source of the donkey reference]. No the source of writer’s block and inspiration are the same. That source is the author. The genius lies within each individual writer. What then is the purpose of a muse? The purpose of a muse is to provide a focal point for that genius allowing an author to realize the inspiration that lived in the writer’s mind all along. New Topic: I discovered a long time ago that I love reading and writing stories a whole lot more than reading and writing about them. So allow me to introduce you to one of my favorites. One Moment’s Pleasure ~ Wildfire Love # 1 is my first western historical romance and a book of my heart (or genius, if you believe what I wrote about muses and inspiration.) Edith and Dutch’s story is available now at http://www.amazon.com/author/RueAllyn. If you want a little more information about One Moment’s Pleasure I’ve included a blurb below, or you can visit my website, http://RueAllyn.com. Thanks so much for visiting with me today. Your comments are my greatest reward, so please share your thoughts with me. Yes, the second Jain Lazarus Adventure released! 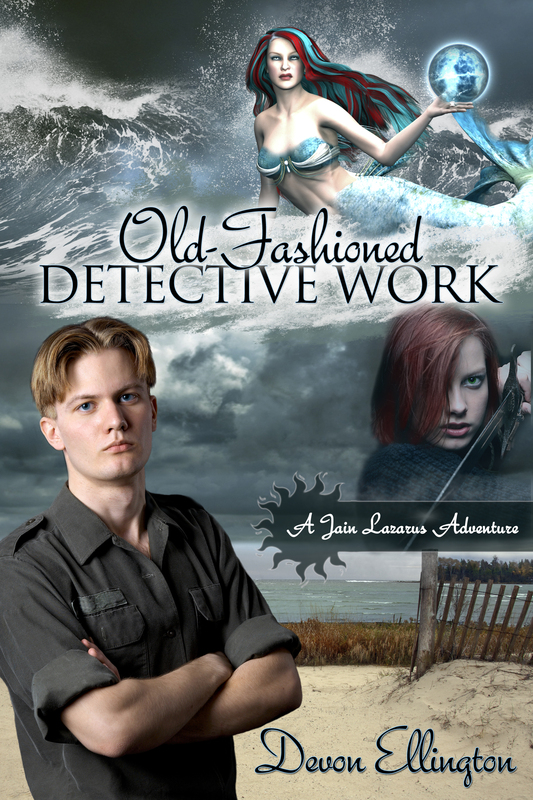 OLD-FASHIONED DETECTIVE WORK is from Wyatt’s point of view. After a romantic weekend in Vermont, Jain disappeared — and now Wyatt’s the prime suspect in her disappearance. Determined to find her, he learns how to navigate the integrated world of the so-called “normal” and the paranormal — dealing with two rebellious, paranormally-gifted teens, shape-shifters, a cranky mermaid, discovering disturbing things in Jain’s past, and facing some of the (metaphorical) demons in his own past. The first book, HEX BREAKER, is from Jain’s POV. I considered using first person for it, and finally settled on third person, after doing some chapters in each. But it was pretty clear early on that we would be living that adventure through her eyes. When I decided there was more to explore in these characters and decided this would be a series instead of a one-off, I wanted to explore Wyatt in more depth. I knew I didn’t want to present all the details of his story in this book, all the nuances around the deaths of his family members, anymore than I wanted all of Jain’s past revealed. Both Jain and Wyatt play it close to the vest — they are deeply connected, falling in love, but they’re not the type of people who sit down and have long, drawn-out conversations about their past. To both of them, the past is just that — past. But the past doesn’t allow itself to be locked away, for either one of them. In this book, I wanted to explore what happens in a relationship when that depth of feeling is there, it’s growing into love, but there’s still an awful lot they don’t know about each other. So often, characters meet and it’s as though they didn’t have actual lives before they met each other. The past is more of an abstract than a reality, and the focus is on the present and the future. I wanted to see what would happen if the past started to come alive again, and how these two strong, independent individuals, who are living rich, full lives until they meet, try to align those lives into their relationship. That’s the emotional layer under the urban fantasy plot. I also wanted to explore Wyatt’s capabilities. He’s a solid, practical detective. He’s grown from thinking the paranormal is ridiculous to accepting it exists. He still believes he’s as psychic as a doorknob. But, if one holds the belief that all humans have some psychic ability, what happens when a latent talent is awakened? Wyatt’s always had strong intuition. It’s part of what makes him an excellent detective, and has saved his life more than once. He’s not going to turn into someone who uses magic; however, that intuitive sense gets more and more honed as the books progress, and he learns how to use as an additional tool in his work. The funny thing is that Wyatt wasn’t supposed to be central to HEX BREAKER, much less have his own book or become Jain’s partner in the series. When I started HEX BREAKER, I originally envisioned Nick as Jain’s partner, and planned to keep it much more oriented in my world of production. Billy started taking more page time (although I knew, early on, that he’d be far more magically talented than anyone thought). And then Wyatt sauntered in and Jain and I both fell hard for him. Their chemistry sizzled from their first words. A Jain-and-Nick pairing would have a very different dynamic and lead to very different adventures than the Jain-and-Wyatt pairing. In the third book, the upcoming CRAVE THE HUNT, the main focus in on Billy and how he comes into his own power. Wyatt and Jain return to the forefront of the series in Book 4, LOVE AND FURY, which will go even more in depth into the parts of their past they’re trying not to revisit. OLD-FASHIONED DETECTIVE WORK is up at the Solstice website, and on Amazon Kindle. The desk was a beautiful, antique wooden one. Wyatt smiled. He remembered how, as a boy, he always wanted to find a secret compartment in a desk. He opened a drawer and ran his fingers under it, remembering the hours he spent at his grandparents’ house, fervently wishing one of their enormous old antiques would yield a secret. His fingers found a switch. He pressed it, almost without thinking. A panel slid out of the side of the desk, revealing an extra drawer. Wyatt pulled out the contents. There were several manila folders and a passport. He placed the folders on the desk and opened them. They were credit cards bills, but they were under the names of Ally Jensen, Beth Paige, and Carole Colley. Each credit card was paid off in full, with nearly $20,000 in open credit. There was also a passport. He flipped it open. The name on it was Beth Paige. The photo was Jain. 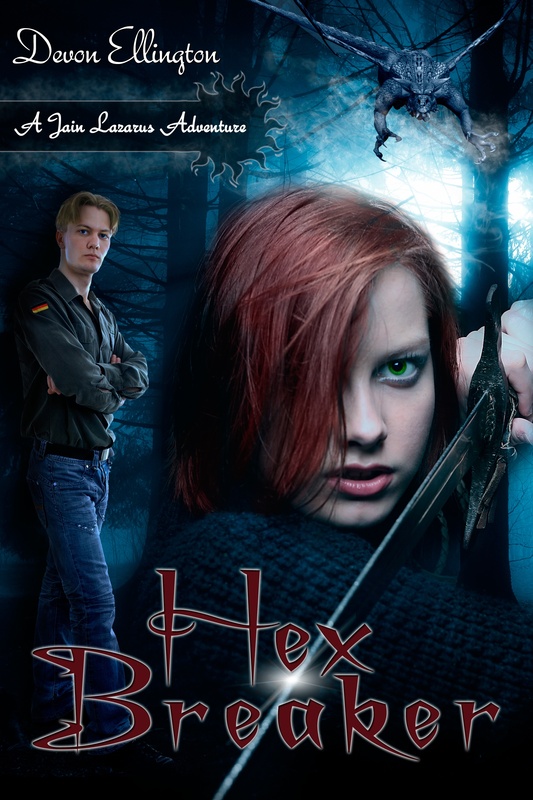 HEX BREAKER is available, both in print and digital versions. Visit the Jain Lazarus Website for excerpts, short story tie-ins, buy links, and more! Devon Ellington is a full-time writer, publishing under half a dozen names in fiction and non-fiction. Her work include the Jain Lazarus Adventures, The Nina Bell Mysteries, the romantic suspense ASSUMPTION OF RIGHT (as Annabel Aidan), the YA horse racing mystery DIXIE DUST RUMORS (as Jenny Storm). 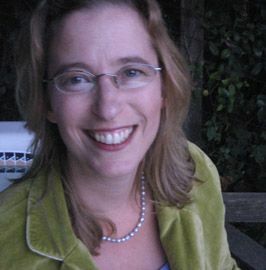 As Ava Dunne, she writes romantic comic mystery and fantasy (such as “Just Jump in and Fly”). She is featured in anthologies including DEATH SPARKLES, PERFECTLY PLUM, ARDEUR, SIMPLE PLEASURES OF THE KITCHEN, GHOST STORIES OF THE MOGOLLON RIM, and FULL CIRCLE. Her plays are produced in New York, Massachusetts, London, Edinburgh, and Australia. She also provides business writing and editing services for an international client base. She teaches workshops online and in-person all over the world. Visit her blog on the writing life, Ink in My Coffee, and her main website, www.devonellingtonwork.com.